Curtain Call — Shaved Head Media, Inc.
Now you can leave your audiences with more than just a great performance. We're happy to announce the launch of our newest product, our CURTAIN CALL HANDBILL®. A custom designed and printed program booklet for theatrical performances. Your audience will appreciate the look and feel of this booklet, as they read the BIOS of your cast, and creative teams. 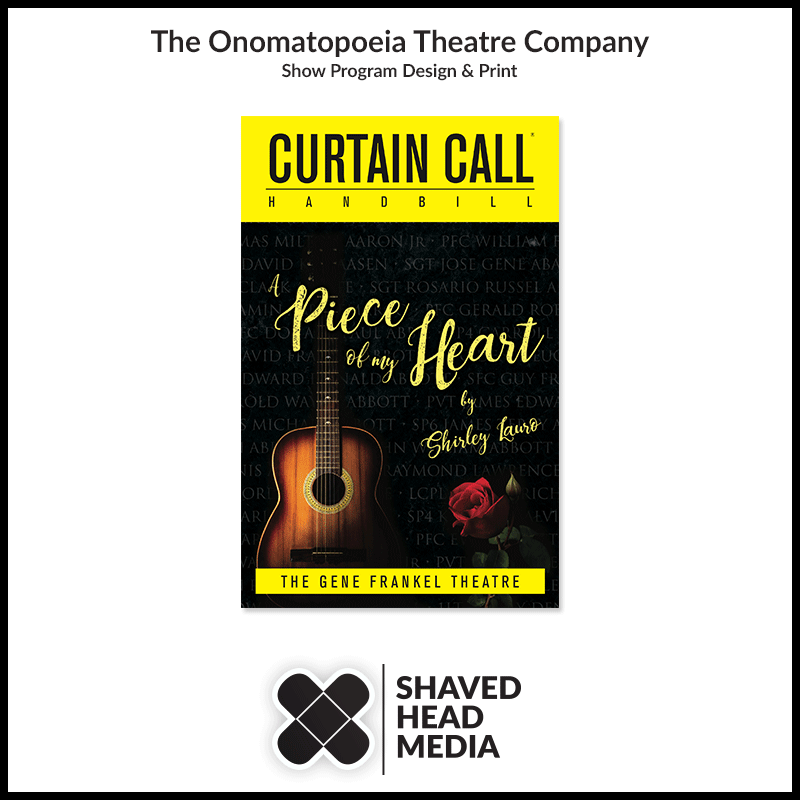 As a producer you can give a background story to your show, or take full advantage of advertising and sponsorship opportunities with CURTAIN CALL HANDBILL® by Shaved Head Media. PUBLISHER: Shaved Head Media, Inc. CURTAIN CALL HANDBILL® is a registered trademark of Shaved Head Media, Incorporated. © 2016 Shaved Head Media, Incorporated. Reproduction in whole or in part is prohibited.